Located at 11552 Reservoir Rd. Cambridge, Ohio 43725, Coal Ridge Park and Trails is a free and open to the public area that allows for boating (electric or non-electric only, no gas powered engines), fishing, camping (with permission) hiking and mountain bike riding. The park connects with The Great Guernsey Trail, which is a 7 mile paved walking trail that stretches from Cambridge to Lore City. 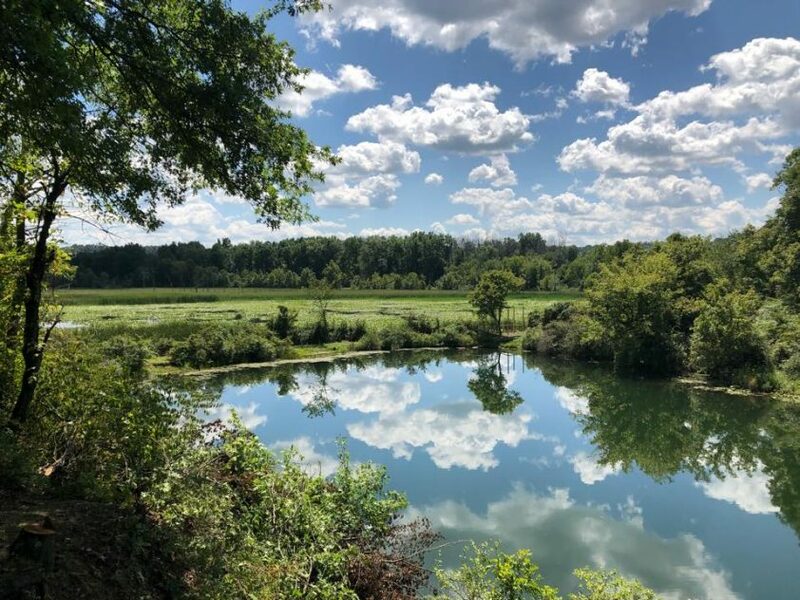 The Coal Ridge trails are earthen and crisscross the property allowing for maximum exposure to the various trees, plants and wildlife that call Coal Ridge home. In addition to the trails there are shelters, benches and observation platforms that allow for expanding viewing options. Fishing opportunities provide people with a chance to catch a wide variety of fish species in the water such as, large mouth bass, cat fish, bluegill, carp and crappie. No swimming. Those caught violating this rule will be charged with trespassing. No jug or net fishing. No littering. Pack out what you pack in. Overnight camping is allowed. Contact number below to obtain permission. Abandoned vehicles will be towed by Lloyds Towing, 740-255-6031. Must have valid State of Ohio fishing license. Pets must be leashed and pet owners must clean up and properly dispose of waste. Personal boats may be used. No gasoline powered motors allowed. Fires are permitted and must be contained. Unlawful to remove or damage trees or other CDC property. All local and state laws must be observed.